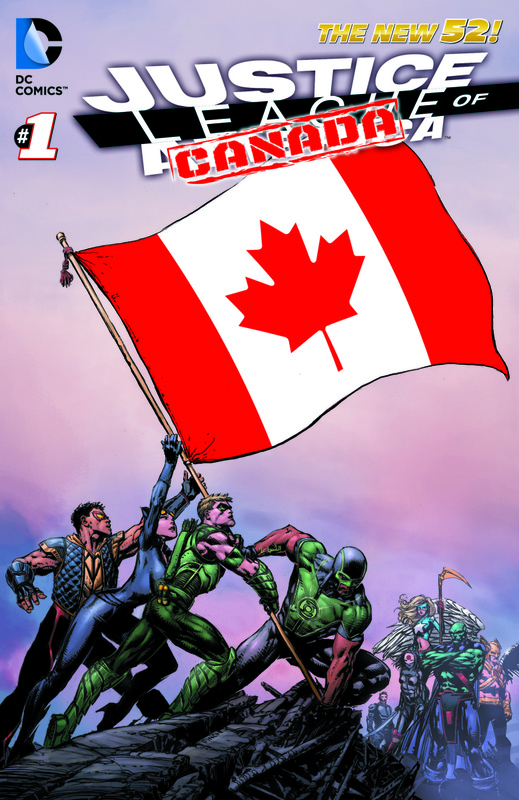 As the resident Canadian contributor, I guess I better comment on this…DC has announced in spring of 2014, they will be cancelling The Justice League of America series to pave way for it's replacement: The Justice League of Canada. This wreaks heavily of shades of Amazing becoming Superior over at Marvel. It feels like a temporary change based on one or two events that will not be in play a year from now. Those events in the New52 DCU would be "Trinity War" and "Forever Evil", shattering the teams across the board and forcing the JLA out of America. Though Marvel has famously had Canadian heroes in it's canon for years (Alpha Flight, Wolverine, Alex Trebek), this is DC's first foray into the country. Jeff Lemire, a Canadian, will be taking full control of the series (after the editors tell him what to change and then he does and then they tell him to change more until they are happy) so there is at least a solid name attached that isn't Geoff Johns. Lemire confirms the team will consist of at least one new character of Canadian heritage and an old character revealed now to be a Canuck: fan favourite Adam Strange. The team will be a mix of heavy hitting well-knowns and new or lesser known heroes. I'm not sure what kind of "vibe" they're trying to send me here but I'm a little more than concerned at their future attempts at Canadian humour. Hopefully Lemire and company can pull it off. Any fellow Canadians out there curious just what this team will have to do up here? Canada is vast with great distances between major cities. Even Superman might get bored flying through Saskatchewan.